Get the scalability you want and enable the analytics you need, with a scale-out storage infrastructure for data consolidation. Gain Big Data accessibility using traditional and next-generation access methods to gain value. 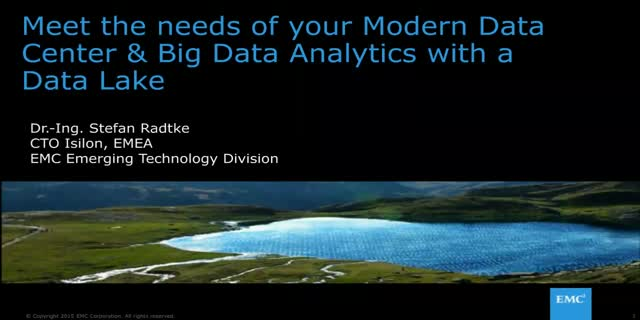 EMC Big Data & Analytics Solutions Experts invite you to join us for a free one-hour webinar. Come to this session to learn how you can start analytics projects and enable the right people and processes, and build an infrastructure that integrates with modern Analytics Applications with a lower total cost of ownership.